By Xah Lee. Date: 2016-04-21 . Last updated: 2019-02-26 . 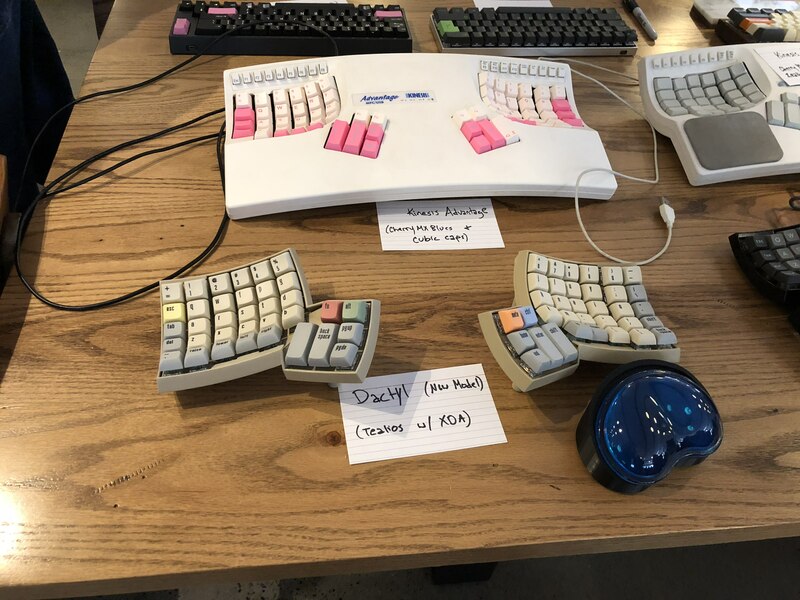 The Dactyl keyboard is made by Matt Adereth, around 2014-04. The best keyboard, that i've ever put my hands on, is now, Dactyl keyboard. It's super light and elegant! and, is the most comfortable of all, more comfortable than Kinesis Advantage. if your hand size is Asian, i'd say, you'd feel similar. The kinesis vs maltron, i haven't decided. I use kinesis at home, but only tried maltron for half a minute. truely enjoyed this video. You see 3D modeling software, 3D printing, keyboard design/making, using clojure to control, and finally, emacs too! many build comes up regularly. Search reddit.